1. What really inspired you to write your book, to force you from taking an idea or experience and conveying it into a book? The Sage Alexander series came from a request from my oldest grandson, Sage Alexander Copling, to write him a book as a Christmas present. The small book I wrote him (he made the request right before Thanksgiving, giving me five weeks to complete the task), is certainly nothing like the book now, but the foundation and general concept are there. Once I knew I wanted to expand the original book into something bigger, it was a short distance between there and the full fantasy universe I created. I don't think I've ever had more fun than writing this series. I'm a long way from finishing, but each book is plotted out and ready to explode from my head. It’s going to be great! 2. What is it about and whom do you believe is your targeted reader? The story is about a boy desperate to save his father. Sage knows he is special, or at least he knows that Leah, his Guardian, has always told him so. He is angelic-human, one of only two-hundred in existence, and the only one, he believes, with multiple angelic gifts. A few years ago, he abandoned his special training to become a legendary savior, just to keep his sanity. But in chapter one, Leah starts pressing him harder to begin again. When his gift of Clarity (the ability to see the demonic influences of the Seven Deadly Sins upon a human body) begins to manifest, and his dad begins to turn into something horrible, it motivates Sage to do whatever is necessary to save him. It is a story of great adventure, has lots of action, and is targeted for readers – both boy and girl – between the ages of 11-17, although many adults have read it and really enjoyed it. Sage is obviously the main character, but a close second is Elsbeth Brown, a girl with two angelic gifts, who will play a prominent role in each of the seven books. Elsbeth is a smart, independent, strong girl who is every bit the fighter and leader that Sage is. They make quite the team, one I think readers will grow to love. 4. What advice or words of wisdom do you have for fellow writers? This one is simple: write. Just put words down on paper. Don't worry about grammar, run-on sentences, useless words, passive voice and all the other stuff that MUST be cleaned up later. No, the best thing you can do is simply write, write, write. After you have your story down on paper (or computer file), let it sit for a bit, a couple of weeks or so, to gain some distance from it. Then go back and start your cleanup. There's a saying I heard once: A book isn't written, it's rewritten. So doing the cleanup is the key to success. That done, after you think it's ready to show to a few people for some advice or feedback, make sure your skin is thick enough to handle what you're being told. Do realize one thing, though: there has never been a book written that somebody somewhere wouldn't have done a little differently. So while you should value honest feedback, remember that it is your story to tell. Tell it. Write! 5. What trends in the book world do you see and where do you think the book publishing industry is heading? I have been an avid reader for almost fifty years. I think the most obvious trend is the move away from print books to electronic versions of books. While I am still old-school in a way, and love the feel of a printed book in my hands, I must admit to the convenience of using an electronic device. When it’s dark, no problem, I’ve got a lighted screen – no lamp needed. When my eyesight begins to fail, no problem, I can increase the font size. When I want to travel light and keep my hands free, no problem, the book is on my phone. The natural drawback to e-books, though, is that anyone can publish. The stark reality is that not everyone who publishes an e-book has properly readied that book to be published. It often takes years to develop the craft of writing, and many who publish just haven’t developed that craft. The agent and editor process of the traditional publishing process effectively serves as a filter for weeding out poor products. My view of that process, however, is that it is so restrictive they miss a LOT of talented writers. Overall, I see technology continuing to grow, more and more e-books available for purchase, and consumers with record numbers of choices. I fully believe that good books, if discovered, will do well. I also see writers desiring to keep more of the ancillary rights associated with their book. Publishers want all rights: movie, gaming, e-books, etc. My publisher, Brown Books Publishing Group, allows authors to keep all rights, which affords the author to pursue other avenues should their books do well in the marketplace. I think you will see authors in the future desire to keep a bigger stake in the books they create. With the world of technology changing the way people watch TV and movies, along with the demand for original programming from the online streaming channels, successful novels could potentially become a huge bargaining chip for authors, assuming they haven’t signed away all of the ancillary rights to their books. 6. What great challenges did you have in writing your book? The greatest challenge for me was merging ancient biblical teachings with myths and legends from all over the world. In the world I created, nearly all of the myths and legends in societies around the world stem from the fallen angels – the Watchers – as described in the Old Testament. The passages in Genesis that mention the Sons of God and the Daughters of Man and the offspring they created, serves as the origin for everything in my series: the evil races of Dark beasts, the angelic-humans that battle them, Greek mythology, vampires, werewolves, trolls and giants, and on and on. In this series, everything surrounds the Great Flood – what happened before the flood, and the aftermath. For me, the biggest challenge was to keep it generic enough to not offend anyone’s religious beliefs, but interesting enough to capture the imagination of those reading it and get them to think, “Huh, that’s a cool take on where ancient Greeks came up with their gods and Olympians.” Of course, another challenge was to tell the story from the point-of-view of a 14 year-old boy, and keep the story moving along at a pace that keeps people turning pages. 7. If people can only buy one book this month, why should it be yours? It’s different. Hall of Nightmares doesn’t follow the typical fantasy storyboard. I have created different worlds, but both are spiritual realms. Much of the book takes place within our own world, present and past, with historical people and places you are familiar with. But classic fantasy elements are there: sword fighting, magical powers (angelic gifts), monsters and creatures, and a boy engaged in a life-and-death journey that requires him to grow up fast. This first book serves as the foundation for a series that is truly unique in the marketplace. Steve Copling has over thirty-five years’ experience in law enforcement and corporate security. He currently serves as a captain at the Plano, Texas police department. He lives in a small North Texas town with his wife of nearly forty years, has three wonderful sons and five beautiful grandchildren. He is the author of two crime novels, and Sage Alexander and the Hall of Nightmares is his first foray into young adult fantasy and serves as the foundation for a seven-book series based on the seven deadly sins. It was born out of an endearing request from his grandson Sage, who asked Copling to write him a book for Christmas. His ultimate goal with this series is to simply write stories that Sage and his brother Nikhil will love reading. See this for more info: http://sagealexander.net/. Do You Support The Bookism Movement? What Color Is Your Book Marketing Parachute? Does Book Industry Need Its Own Snap Chat IPO? Will YouTube Actually Save Or Kill All Books? 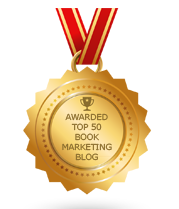 Overcoming Your Book Marketing Phobia! Do You Promote Books Outrageously? What’s In A Name Or A Word? Does The ABAA Preserve Book History? Interview with author Colin A. Ross, M.D. How Do We Define The Dictionary? Do We Miss Or Need Books Never Published? Which Book Genres Sell Best As Audiobooks? Can A Biography Accurately Serve As One’s Legacy? Could You Give Up Book Reading For A Year? What Color Is Your Book Marketing? Can Book Publishing Be A Punchline On TV? How Can We Raise Better Book Readers?